Are you planning on buying a book to help you prep for SAT Writing? In this article I will discuss the top prep books for SAT Writing on the market today, and why you should or should not buy them. These books can be found at bookstores, the library, or online. 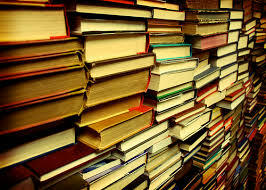 If you make use of all these books and practice effectively, you'll be sure t o improve your SAT writing score. Who should use these books? Books are a great way to study for students who are serious about their prep and who are able to motivate themselves. Keep in mind that studying from books is not the most effective method for all students. It’s important that you know how you study best. Buying a book is not going to track your progress or motivate you to study – so you need to be able to do that for yourself, and you also need to be able to understand and evaluate your own mistakes and progress. If that sounds like you, these books will be great for you. In order to take full advantage of these books, you also need to be willing to make a time investment. Just buying a book is not going to make a difference to your score – you have to be willing to commit and spend time – we’re talking at least 10 hours, or much more depending on where you’re starting from - going through it in order to get the benefits. So if you’re looking to invest a good deal of time and want to make a significant improvement in your SAT Writing score, read on to see which books can help you! There are two books that all students should have before taking the SAT. Sold on Amazon from $11.81. It’s critically important that when you study, you are using real questions that actually appeared on the SAT. Why? Many test prep companies have people who don’t really understand the test writing their practice questions. There is a good chance that if you only study questions written by prep companies, you will not be seeing the kinds of questions that actually appear on the SAT. 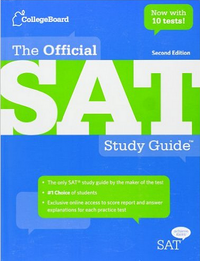 The Official SAT Study Guide provides you will 10 full-length practice tests. For the Writing section, that’s 490 multiple choice questions to practice with. When you buy the book, you also get online access to explanations to all of the answers. Additionally, many of the books I will mention below make references to the questions in this book as examples. Unfortunately, this book does not work as a complete study tool. It gives little to no explanation for the different concepts that are tested on the test, and only gives the most basic strategy tips – some of which are quite debatable (such as when to guess). Similarly, the online explanations for right and wrong answers aren’t the best. They tend to expect a high level of comprehension of the basic concepts, so you’ll need to understand your own mistakes to make the most of this book. Because of this, it’s best to pair this book with another one or two from the list below, depending on what your score goals are. Available on Amazon from $17.97. 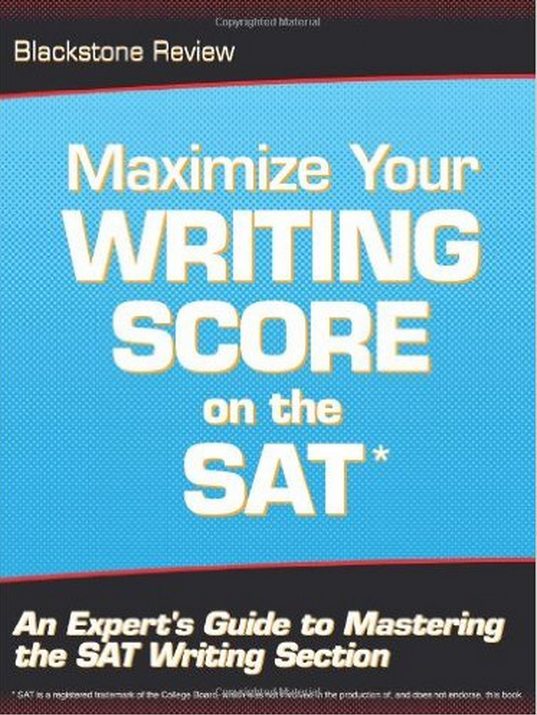 This book is critically important because it teaches you how to think about the SAT. It aims to teach students that anyone can succeed on the SAT, as long as they approach the test the right way. For example, the test is predictable in that the material tested is always the same, but has to be difficult enough to stump some students. Therefore, the fairly straightforward grammar rules on the Writing portion of the test will be presented in unexpected ways. If you are ready to view the test this way, it will be easier to see where the College Board is trying to trick you. It contains a lot of practical strategies for how to approach each type of question, and then also explains the answers to several of the questions in The Official SAT Study Guide in depth. In particular, this book gives great advice for how to tackle the essay section of the test. This book does not give a clear set of guidelines for how to approach each question, which might make it confusing for some students. I would recommend reading this book for general strategy and learning how to think about the test, and pairing it with other books if you want a more straight-forward list of rules. The end of the book gives a “Grammar Toolbox” that outlines all of the major grammar concepts you will need to know for SAT Writing. However, these are not paired with example SAT-style questions, so it won’t be the best resource for many students. Available new at Amazon from $21.95. 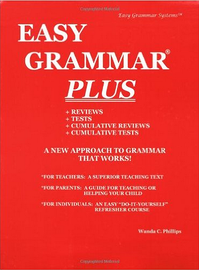 This excellent prep book focuses in on only the grammar rules covered on SAT Writing. There are several features that make this book stand out. The grammar skills are ranked by the frequency they appear. Each grammar point is ranked between one and three stars, depending on how frequently the concept is tested on the SAT. This is helpful because it helps you focus your studying. You can just cover the most important (3 star) concepts if you're in a rush, or you can focus on the 1 star concepts if you already know the basics and are aiming for a high score. While other test prep books do tell the frequency of grammar rules, this book does it in a very visually-friendly way, which a lot of students may find helpful. The realistic diagnostic test will help you make an effective study plan. The book starts with a diagnostic test. Now, students can always make their own diagnostic tests. I’ll talk about this more below. But I particularly like this diagnostic test because it gives example sentences that test grammar concepts in a very similar way to the SAT. Even better, it gives detailed explanations for each answer and pinpoints which grammar concept is being tested in each question (along with where to find that concept in the book), before showing how the sentence could be revised to be grammatically correct. Though, again, you can do the same process on your own with the practice tests in The Official SAT Study Guide, this could save you a lot of time and help you to quickly see which concepts you are struggling with. This also means you can save all ten practice tests in The Official SAT Study Guide for later practice. Every concept is explained very clearly. The grammar points in this book are laid out in a way that is very easy to read and understand. The grammar rules are explained clearly, briefly, and directly. After each rule, the book gives at least one SAT-style question with an error of the grammar concept just introduced, an explanation of why the error is incorrect, and then gives a revised version of the sentence with the error corrected. I like the immediate reinforcement of each idea, and the revised sentences can help students get used to what correctly-used grammar looks like. Similarly, the end of each chapter gives you additional well-written practice questions with clear explanations. Students who don’t want to get bogged down with a lot of extra words should really like this direct and simple approach. It gets to the point quickly and makes it easy to stay on task. 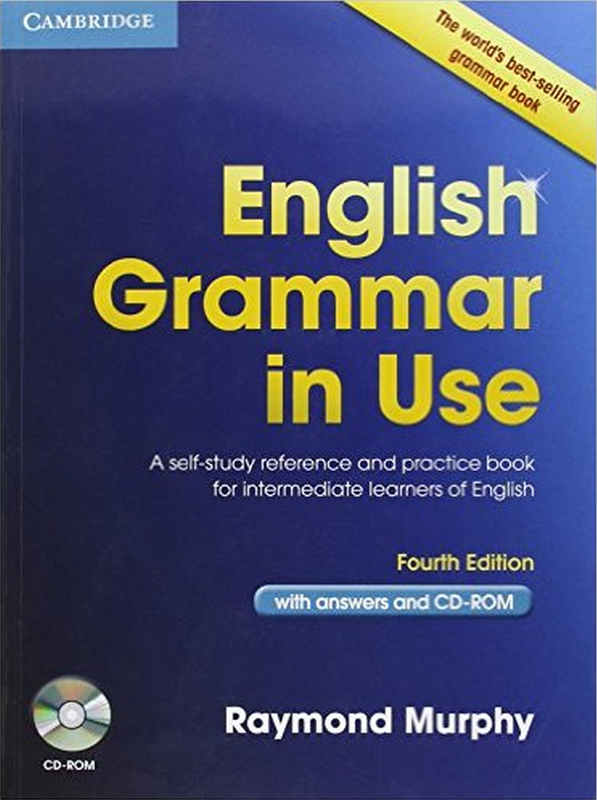 Additionally, the instruction in this book focuses on grammar concepts instead of technical grammar terms. It won’t bog you down with things that you don’t need to know to do well on SAT Writing. The study guides and appendixes at the end of the book provide added depth. The end of the book has two useful review sections. The “Study Outline” briefly goes over all the grammar concepts covered, and the “Super Quick Study Guide” gives an overview of just the most important and most frequently-tested grammar concepts. Though this is an unnecessary feature, these sections are nice bonus tools with example sentences that you can use to get your mind in the correct mode right before the test. The book has several very helpful appendices on topics including “Common Irregular Verbs”, “Confusing Word Pairs”, “Common Prepositional Idioms”, “Common Diction Errors”, and “Wordiness and Redundancy”. These are very thorough and go into much greater detail than most SAT Writing test prep books. A lot of these topics, such as prepositional idioms, are things you will need to study if you are aiming for a high score. There is an excellent guide to the essay section. Finally, this book has a guide for the essay section of the test. This is especially valuable because some other Writing SAT prep books completely ignore the essay portion. The essay guide gives some good tips about how to approach the essay, which is something a lot of students struggle with. You’ll get tips for how to start the essay with a strong statement, how to effectively use notes, and what kind of examples you will need. It’s especially good for talking about the mindset you need when you approach the essay, and I think that this combined with the tips given in the Black Book would well prepare stronger writers for the test. However, if you are a weaker or very not confident writer and need a lot of hand-holding and instruction for the essay section of the test, you should probably get an additional guide. The end of the book has example test questions with detailed explanations for each answer. Though these are quite well-written and test grammar in the same way the real SAT does, the questions are pretty limited. There are only 40 Identifying Error questions, 25 Improving Sentences questions, and 7 Improving Paragraphs questions. Many students will not find this to be enough practice. As noted above, this book addresses each grammar topic in a concise and to-the-point fashion. I think these explanations are more than enough for students who have at least a decent understanding of grammar basics. While this will appeal to some students, it will be a turn-off for others who prefer to have things explained in more detail. Finally, the essay tips will not be thorough enough for students who need a lot of help with their writing. Available new at Amazon from $27.86. The workbook sells from $28.45 here. Meltzer has a great understanding of the grammar that appears on the SAT and does a good job of explaining the concepts in detail. She goes through everything that you will need to know in order to aim for a perfect score. There are a lot of things that make this book a great pick. It explains concepts from the first principle. Metzer doesn’t assume any prior grammar knowledge, and gives enough information (starting with an overview of the different parts of speech) to help out those who are not confident in their grammar skills or need a refresher of what they learned in grade school and high school. The book covers all of the grammar concepts that you will need to know for SAT Writing. 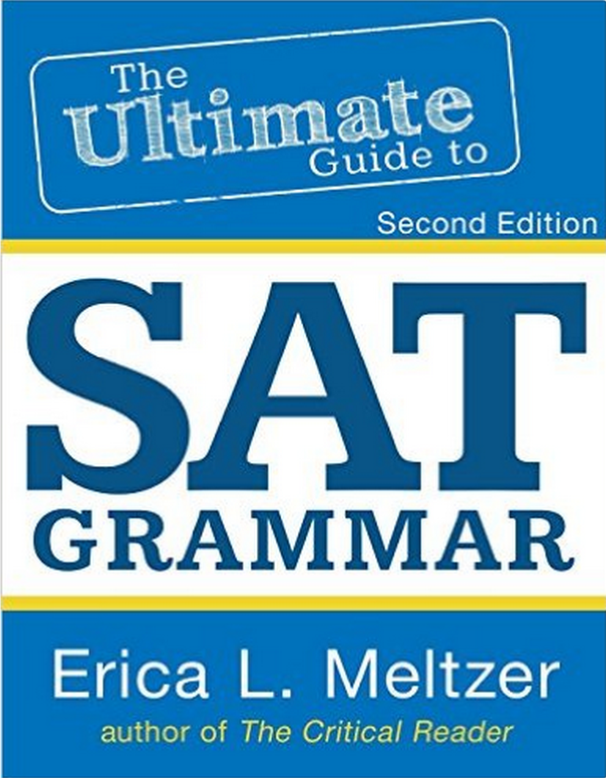 Unlike some prep books which leave out the more complex and less-tested material, Meltzer gives a great amount of detail on even the rarest types of question, such as diction questions, for which she also includes a list of commonly confused words that have recently appeared on the SAT. All of the concepts have this level of thoroughness, which means this is a great resource for students who are looking for a book that will help them drill the most difficult types of questions. Going along with the previous point, Meltzer only covers minimal additional material that does not appear on the test. Most of this is foundational knowledge-type material, and she clearly notes that it won’t directly be tested. After introducing each grammar concept, Meltzer gives several example sentences of the concept being used both incorrectly and correctly. This is a great feature because it allows students both to see some common mistakes, and to see how they can be fixed. The practice questions are excellent. At the end of each concept-based chapter, Meltzer gives several practice questions. For the most part, these questions ask you to find a grammar mistake in the sentence and fix it. She also has very good cumulative tests after every few sections. Though these tests don’t follow the SAT format, I think they are very helpful because they gives students the chance to first make sure they really understand an individual grammar concept (with no help or guessing from multiple choice options!) in the chapter tests, and then follows that with good practice of finding different types of grammar mistakes, which is the skill you have to develop for the SAT. Additionally, she gives some of the best-written SAT Writing-style practice questions that you will be able to find outside of The Official SAT Study Guide. 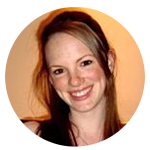 Her SAT-style questions test grammar concepts in the same way that the SAT does, and her writing style is extremely similar to the style used by the writers of the actual test. This means that you will have a valuable extra resource of practice questions, in addition to those in The Official SAT Study Guide. She explains every grammar question in The Official SAT Study Guide. Some of my favorite resources in this book are Meltzer’s very detailed appendices. She goes through all of the practice tests in The Official SAT Study Guide and breaks them down by grammar concept tested. This is immensely valuable for students because when taking those practice tests, they can use these appendices as a guide for understanding what kinds of questions they are missing. Also, if you have a certain grammar concept you want to have more practice with, you can look up the specific questions in the Study Guide that cover that concept. This is a very dense book. While some students will love this writing style, others will find it very difficult to get through. While treating less important topics with a lot of thoroughness is what the highest-achieving students will be looking for, for most others it will simply be too much information. Going along with that, unlike Blackstone Review’s book mentioned above, Meltzer’s book is not very visually-friendly. For example, while she does tell which question types most frequently appear on each part of the test, you will need to read closely to get that information, which makes it more difficult to skim and skip around to cover the most important concepts. The example sentences she uses to explain and test grammar concepts do not look like the questions on the SAT. While this won’t be a negative for many students (and I personally think they are very effective at testing the grammar concepts), some students may want to stick to SAT-style questions. While Meltzer does give answer keys to all of her questions in the main text, she does not give detailed explanations for why the answers are right or wrong. This will not work very well for students who need more hand-holding to understand grammar mistakes. The workbook that accompanies the text gives additional practice that really should be included in the main book. As it is, it's expensive to have to buy two books to get what should be included in one. Finally, this book does not cover how to approach the essay, and the main text does not include practice questions for the Improving Paragraphs questions. So if you want to focus in on either of those sections of the test, this will not be the best book for you. This book is great if you are a middle-range writer because it holds your hand like no other for the essay portion of the test. More advanced writers, however, will probably find some of the advice to be simplistic. There are a lot of things that make it great for a student at this level. It starts with a good, lengthy overview of each question type on SAT Writing. If you are less familiar with what you are going to see on SAT Writing or are particularly intimidated by the structure of the test, this will give you a good grounding to work with. It includes a full diagnostic test with SAT-style questions. 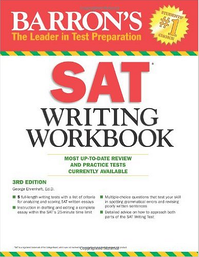 After the explanations, this book gives a full diagnostic test of the Writing section of the SAT, including a practice essay question. The questions are very reminiscent of questions that have appeared on past SATs, so they should be helpful for students to understand their strengths and weaknesses. The best part of this is the detailed answer section, which not only gives several sample essay responses, but also goes through each multiple choice question in detail, telling why each correct answer is correct, and what grammar rule is violated by each incorrect answer. It gives in-depth instruction for the essay. This book dedicates a whopping 82 pages to how to write the essay. It takes you through everything you could possibly want to know, in detail. If you pair this with the basic strategy found in the Black Book listed above, you should have no further questions about how to improve your essay score. The grammar explanations are straightforward. All of the main grammar concepts that you will need to know for the test are briefly explained. This book does not go into as much detail as Meltzer’s book or the Blackstone Review book, but it is more than enough for what you will need for a mid-range score. After each grammar explanation, the book gives an SAT-style multiple choice question. It’s helpful for students to be able to immediately see the concept put to use in the way it will appear on the test. All of these multiple choice questions are followed with detailed answer explanations. There are also several practice questions that are not in the style of SAT questions, which are good for nailing down grammar concepts without the prop of having answer choices. The grammar concepts are divided by what you are most likely to find on each section of the test (Improving Sentences, Identifying Errors, and Improving Paragraphs). While there is a lot of overlap in the grammar concepts, this could be helpful for students to pinpoint where they are struggling if they tend to do worse on one section. This book also goes into greater detail on the Improving Paragraphs questions than many other test prep books do. There are a lot of opportunities for practice. Finally, the end of the book has four well-written practice tests, which will be good additional practice if you need more than the ones in The Official SAT Study Guide. All of the questions have detailed answer explanations. Many of the practice questions are not in the style of SAT questions, and some students will prefer to have more SAT-style questions to work with. The grammar explanations do not go into a lot of detail and can be vague. This lack of detail means that you may not get everything you need to master the trickiest concepts. Also, some of the grammar is repetitive because it is found in multiple sections (ie., both in Identifying Errors and in Improving Sentences). If you are getting a very low score on SAT Writing, it may be because you are a non-native speaker of English or are otherwise missing a fundamental understanding of how English grammar works. Since you can’t run before you walk, I would recommend starting with books that are not specifically aimed at the SAT, but are going to give you a strong grammar foundation that you can build upon with further study. English Grammar in Use is great for helping struggling students get to terms with grammar basics, especially verb tenses, their uses and special constructions. It also includes lessons on trickier subjects such as “may” vs. “might”, idiomatic preposition use, relative clauses, and participles. The pages are all written in simple, easily understood English. Every lesson is illustrated to further aid comprehension, and they're followed by a full page of practice exercises. This text has been popular for a long time for students learning English as a foreign language, but it is a helpful resource for anyone who needs a refresher of important grammar foundations. Available on Amazon from $28.52. Phillips effectively teaches the basics of grammar and sentence construction by breaking them down into the different parts of speech. Every new topic has several pages of exercises for extensive drilling. It's this repetition that really helps the new concepts stick with students. This book is especially good for students who find the wording of other grammar books to be too complex. It is written with a 4th grade vocabulary, so you can focus your attention where it matters - on the grammar. 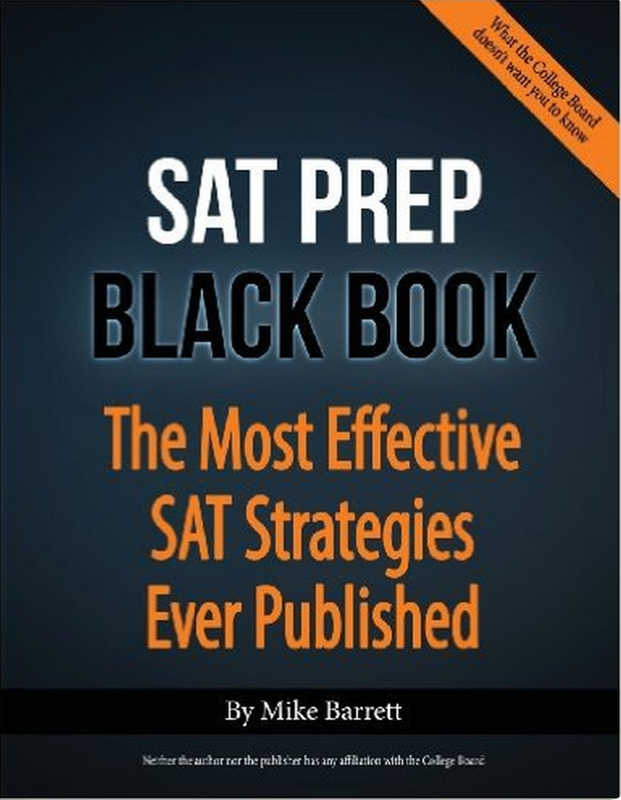 If you are a mid-range or high-range scorer, start out with reading through the Introduction and Writing sections in the Black Book (apart from the explanations to questions in the Official SAT Study Guide). This will help you get in the correct mindset to approach the test and is good to build general strategy. Take a practice Writing test from The Official SAT Study Guide and score it. Make a note of each question you got wrong or had to guess for. Mark down which section it was in (Improving Sentences, Identifying Errors, or Improving Paragraphs) and also what grammar concept it was testing. To do this, you can either use the appendix in Meltzer’s book, or you can use the explanations for The Official SAT Study Guide that can be found online. In whatever book you choose, skim through the grammar concepts you are most comfortable with to make sure there is nothing that surprises you, but really focus your studying around the concepts that you missed in the practice test. Keep taking the practice tests in The Official SAT Study Guide to check how you are improving. If you are a low-range scorer, start studying a long time in advance (at least 6 months). Ideally, you should cover the material in the foundational books and then move on to one of the other books that focuses specifically on the SAT. Once you have given yourself time to get the basics down, follow the steps above. If you're not sure that book studying is for you, check out our test prep program. PrepScholar starts with a diagnostic test and then helps you focus your studying on what you need the most work on. Also check out our free resources to start prepping for the test. Our blog covers every grammar concept you will find on SAT Writing, as well as general strategies for each section. Aiming high? Look at these key strategies to score an 800 on SAT Writing, written by a perfect scorer.